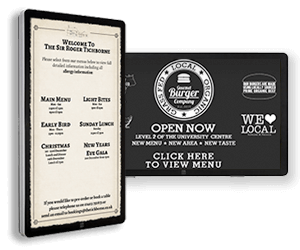 We’re not just box shifters, we really do offer the full package – right from buying your first digital signage device through to the on-site installation, we are here to help. We’ll always ensure you have the right equipment for the job and offer a wide range of products to ensure the digital signage solution you choose is right for your business. 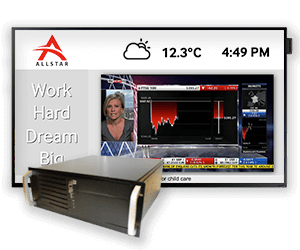 Professional commercial digital signage media players, some built in to displays, some as external devices. There is a wide range to choose from and choices are led by budgets, performance requirements and installation environments. Providing cutting edge commercial grade displays for a range of internal environments. 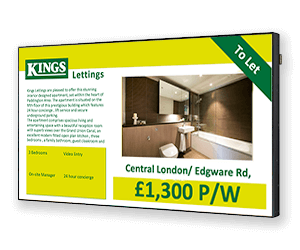 Using displays such as Samsung Smart Signage Platform, offers a range of brightnesses for internal use along with size ranges from 10″ all the way to 82″, plus 3 year manufacturer warranty, giving you the flexibility for a variety of installations. High-bright, ultra thin bezel, anti-glare, 24-7 use displays can be used and configured to create the ultimate video wall – the jewel in the crown of your project. 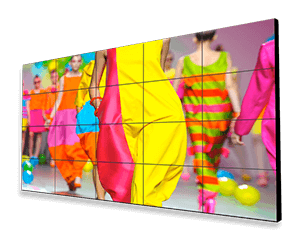 Video wall displays can potentially be as large as required. We will only ever recommend commercial grade all in one Touch Screens or Tablets be used for optimum performance and reliability. That’s why we like to use products such as ELO touch screens. 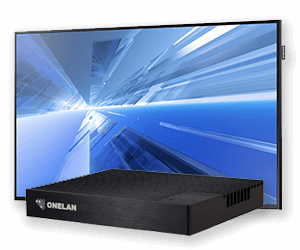 ELO offer a range of professional products for larger touch devices up to 70″ including PCAP. For an uninterrupted experience ELO displays are sure to give you the touch performance to keep consumers engaged. To keep your content at its most visible, even in direct sunlight, high-bright, high-contrast displays are needed for windows signage solutions, which is a proven way to draw in more visitors to your business. Samsung’s OMD Series features 2500-nit brightness and 5000:1 contrast ratio for fantastic visibility in any lighting environment. Built to withstand dust, rain, snow, corrosion and a broad range of temperatures, outdoor displays will stand up to the elements and get your message across. Wall mounted units, totems, touch screens and large scale LED displays are all available. 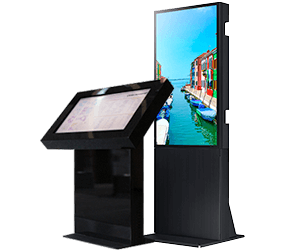 Totems and Kiosks offer a sleek and stylish option for displaying and promoting your digital signage content. 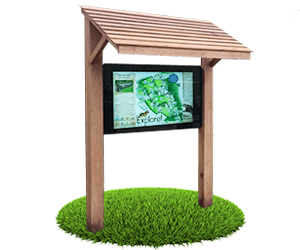 These all in one solutions are great for Wayfinding and interactive solutions. 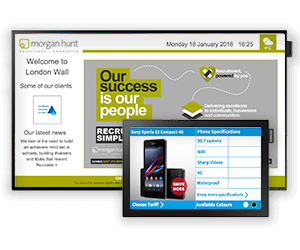 An extensive range of products to distribute content effectively over multiple displays. 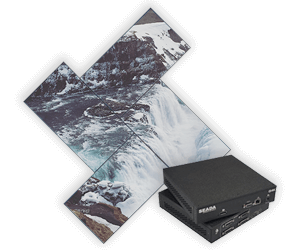 Maximise the impact of your video wall with high end distributor products giving high resolution outputs for a range of video wall uses. Get more content into your signage with IPTV servers and HD encoders. Receive live TV channels and deliver them across your network (IPTV) or broadcast your own live content from cameras, media players and other sources using HD Encoders.